Rose balsam blooms rounded-shaped petals. The colors are white, pink and red. 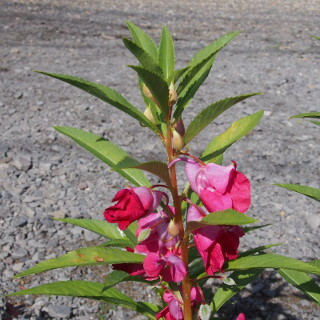 It is also called Garden balsam, Hosenka in Japanese.